With the first snowfall coming soon in the Denver area it is getting close to the end of the year and the holidays. Holiday Cards are a great way to help send the message of joy during the season whether to friends and family or your business contacts. Eight options are offered for the cards which include a full image on the front, and either “Seasons Greetings” or “Happy Holidays” inside the card. 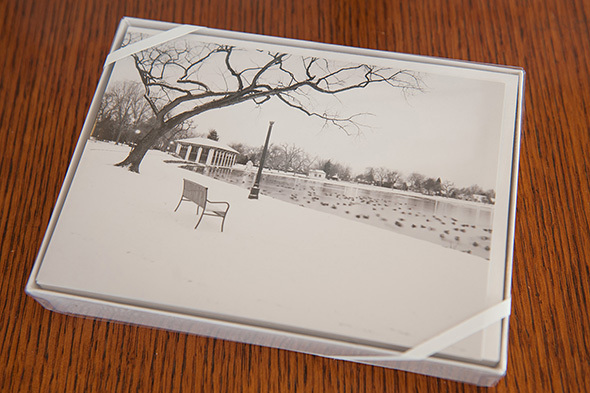 The 5″x7″ cards are sold in packs of 12, with 13 white envelopes. Through October 7th the holiday cards are on sale for $12.99. With savings of over 20%, this is a great time to stock up!